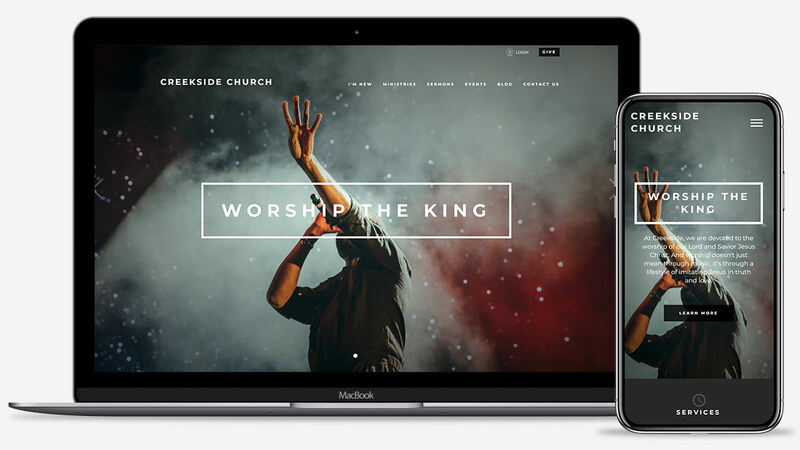 ChurchSpring is dedicated to helping you keep your website an accurate reflection of who you are as a church body. Whether it’s modern or traditional, our designers enjoy creating fresh and original looks from which you can choose your website design. So what is our new design like? Ezra has the sharp edges of a streamlined, box-like-feel that makes the neat-and-tidy-part-of-you smile! The contrast of a white font on the black background, and the black font on the white background creates a strong statement page. Using your own high-quality, color image in deeper tones for the background will allow your homepage to engage like never before! Sliders have the option for a square, inset-picture to promote any area of your church programs. It’s as simple as black and white. Why not take an up-close look at Ezra on this preview site? Not a ChurchSpring platform user? Are you locked-in to one design that was created for your church years ago? Click here and watch our demo to learn how ChurchSpring can help you keep your website fresh and inviting in the most pain-free way!